Did you ever eat French violet hard candies when you were a kid? I was obsessed with them. They usually came in beautifully-designed little tins that I coveted. I think I was as much obsessed with the tins as I was with the candy itself. So when thefeedfeed + method ask me to come up with something inspired by method Home’s new fragrance Wild Violet, my mind immediately went back to that stash of French violet hard candies hidden in a box beneath my bed. 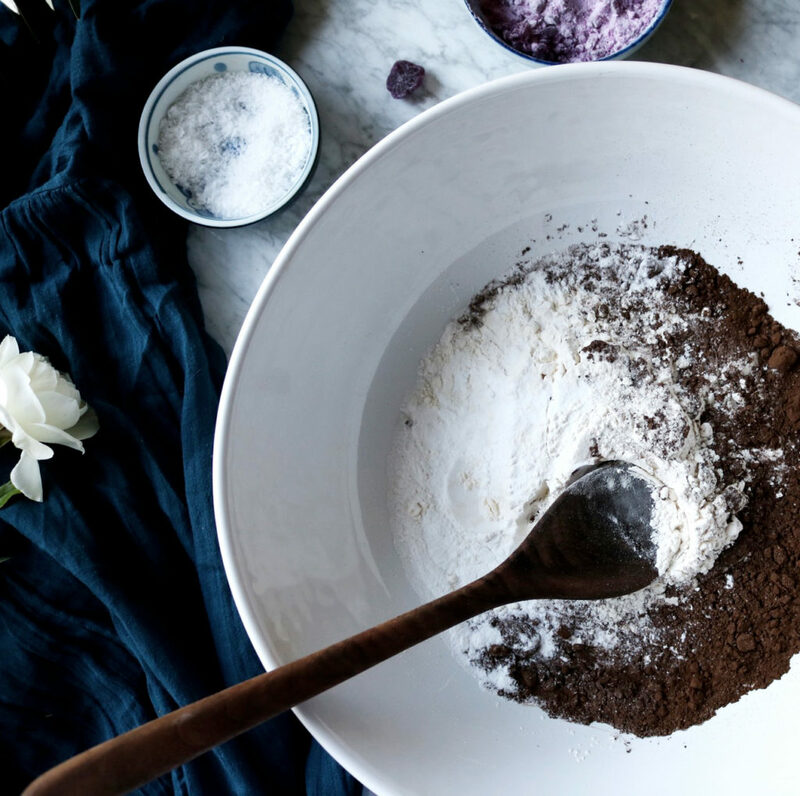 When I was working on this cookie recipe I put the Wild Violet-scented hand soaps in every bathroom +the kitchen. I wanted to be inspired and I wanted this cookie to dazzle. And I while I was completely consumed with the scent,I was equally in love with the packaging. My hand soap has to be pretty…are you with me? Brooklyn-designer Rebecca Atwood designed the bottles and they are completely gorgeous (see the cookie photo!) & available exclusively at Target. I wanted my cookie to echo all of this: delicious on the inside and dramatic on the outside. 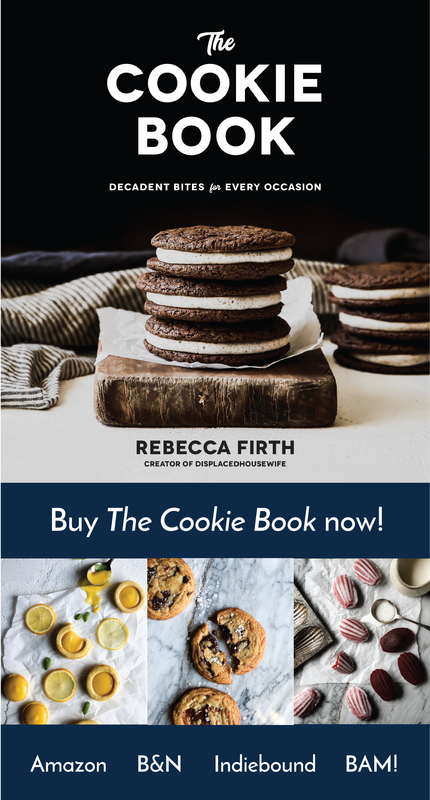 We start with a brownie-esque cookie base…a light crunch on the exterior and a chewy, almost brownie-like interior. I went for loads of white chocolate. I’m not usually a huge white chocolate fan, but it completely works in here both taste-wise and visually. Then, I wanted the violet element. 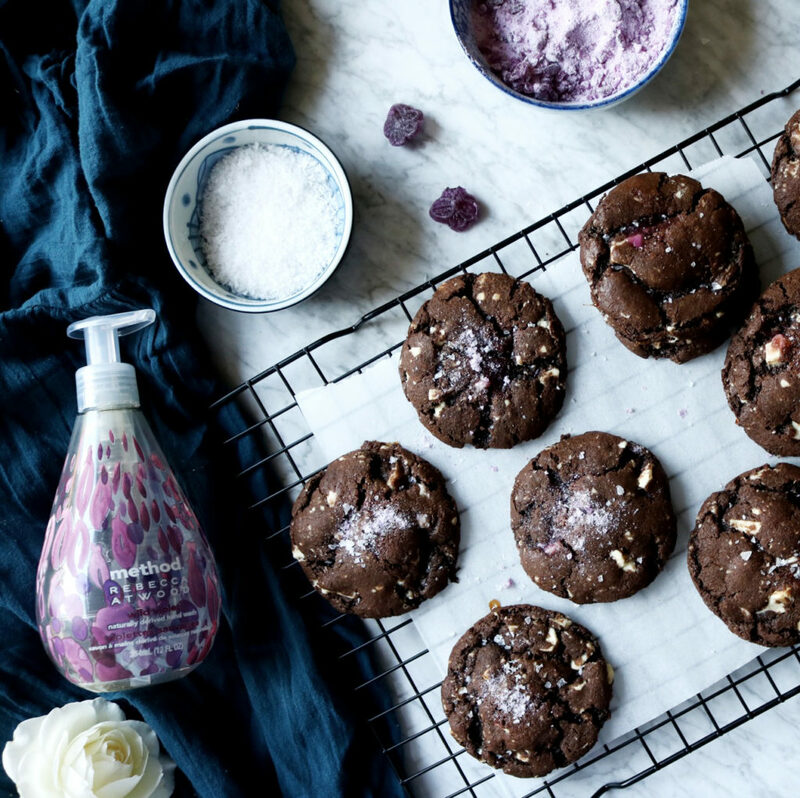 I tried violet syrups, candied violet petals…you name it I was shoving it into these cookies. None of the violet flavor shined through, until I ground up the violet candies and dusted the dough balls, just prior to baking. It added the perfect pop of color, flavor and crunch. During some of the testing I threw pistachios in the cookies. If you like nuts in your cookies, do it. This is a super easy cookie to throw together. Bust out your jazz hands, because this cookie has hella personality. Violet Candies. I love the ones that are this beautiful violet color as seen in the photos, but I have also seen them clear or white. If they are the latter color, make sure that they aren’t anise flavored. When crushing up the candy, take care not to grind the bits too small…you want to see some larger chards of violet in your cookie. White Chocolate. You can use chips or chopped up bars. If you use the latter, be sure to throw in all of the white chocolate dust left over from chopping. I love the streaks it puts in the cookie. Add the eggs plus vanilla and mix until everything is completely incorprated. Make sure to scrape the sides and the bottom of the bowl so that everything is completely blended together. Pour the flour mixture into the bowl with the chocolate mixture Use a spatula and blend until just barely combined. Add the chopped white chocolate and pistachios (if using) and mix in as few strokes as possible. Pull out a large piece of plastic wrap and dump the cookie dough into the middle. Wrap tightly, so that it is completely sealed, and place in the fridge for at least 60 minutes or up to overnight. Don’t skip this step as the dough will be difficult to handle if you do…it’s on the sticky side. Grab about 2 tablespoons of cookie dough and gently roll it between your palms to create a nice sphere. Don’t be too aggressive…just a nice, gentle nudging in the right direction. Leave about 2 inches between each cookie. Your hands will get a little messy, fyi. Just punch on through and wash your hands after. If the dough starts to get too sticky, just wrap it back up and throw it in the fridge for a quick stint. 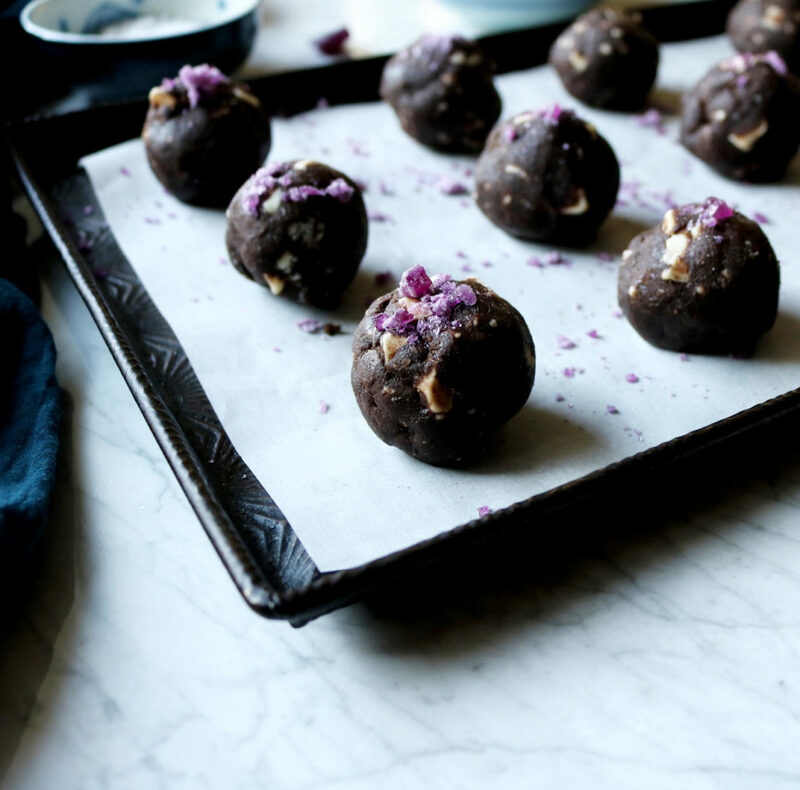 Sprinkle each dough ball with a pinch of crushed violet candy. Bake the cookies on the top rack in the oven for 11-12 minutes. They will appear to be underdone. That’s good. I really prefer baking one sheet of cookies at a time in the oven. If you do use two sheets in the oven at a time, rotate midway, top to bottom and front to bake for even baking. 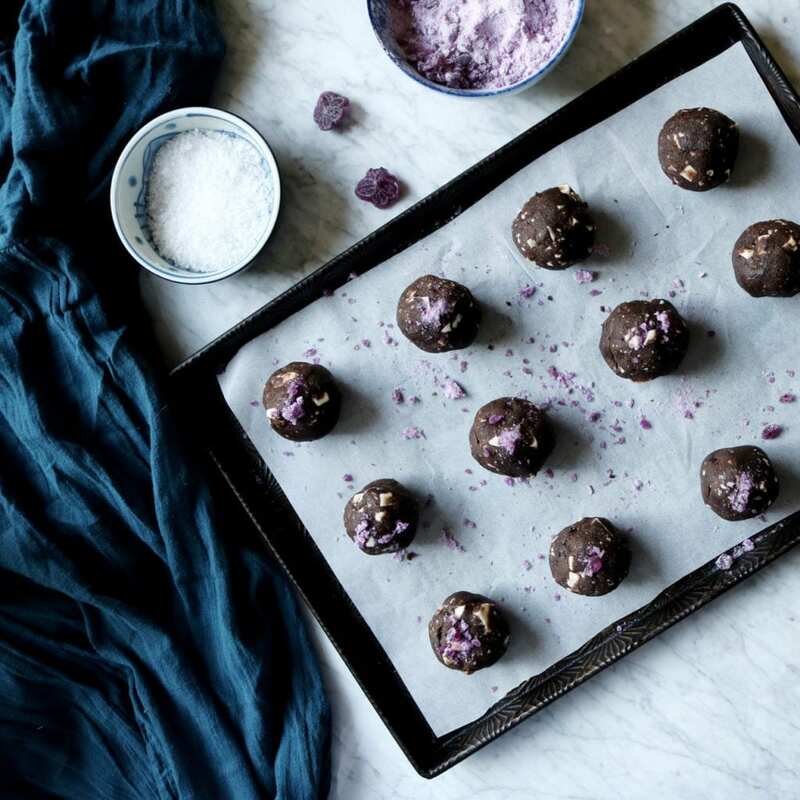 As soon as they’re out of the oven, sprinkle with the sea salt flake (if using) + more crushed violet candy. If some of your cookies took on an odd shape whilst baking use the edge of your spatula to nudge them back into a nice circle. I hope you love these cookies! Be sure to tag me @displacedhousewife #displacedhousewife so I can see your creations!! There are four recipes in total that were inspired by this new line of fragrances: Frangipane Tart With Figs & Plus, Roasted Fall Vegetable & Crispy Sage Quinoa Bowl, Pumpkin Pavé Bars, Salted Dark Chocolate Violet Cookies. 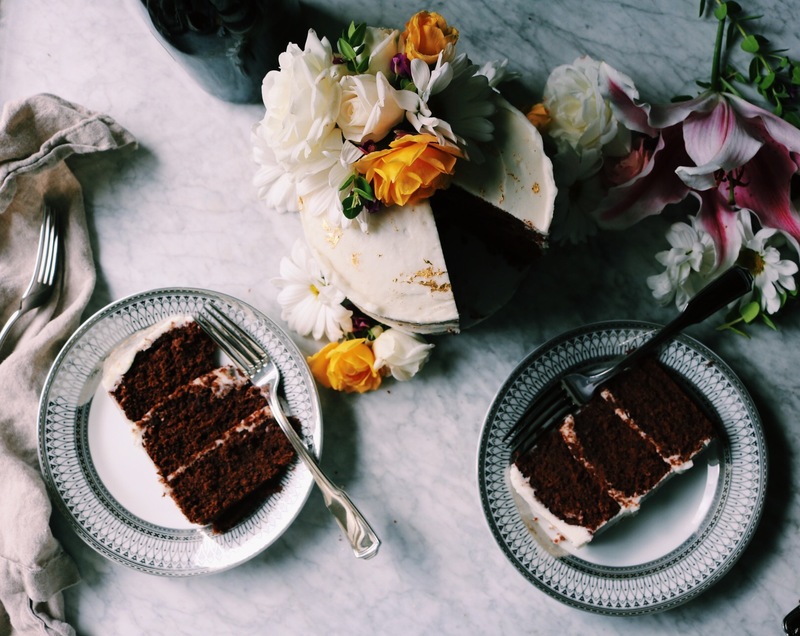 I admire all of the bloggers that were in this campaign — really creative recipes + beautiful photos. So go take a look!! 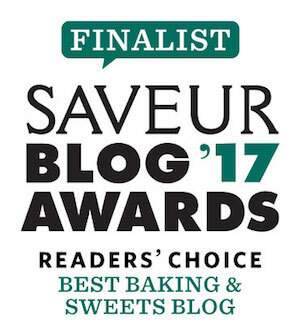 I recently wrote this article for the Heart of Farmers website…which is basically the blog for the 400+ California strawberry farmers and includes lots of fun, strawberry-centric recipes. I chatted a bit about strawberries and shared by recipe for my Strawberry Cardamom Torte which is basically easiest and most beautiful dessert you’ll ever make. Not kidding. PLUS, they are doing a $200 Sur La Table giveaway. Nobody’s sad about that. Lots of peace + love! i’ve been under that rock with Mary Ann because those candies were never on my radar. now i need to find them! i was similarly obsessed with tins of lemon drops, but far less fancy. these cookies sound special occasion worthy! love! I tried making these but even for 9mins at 375 the cookies came out too crispy on the edges. Any suggestions of what I am doing wrong? The dough was also pretty tough to wrap in plastic wrap. It was too runny, could I have over beated the batter? 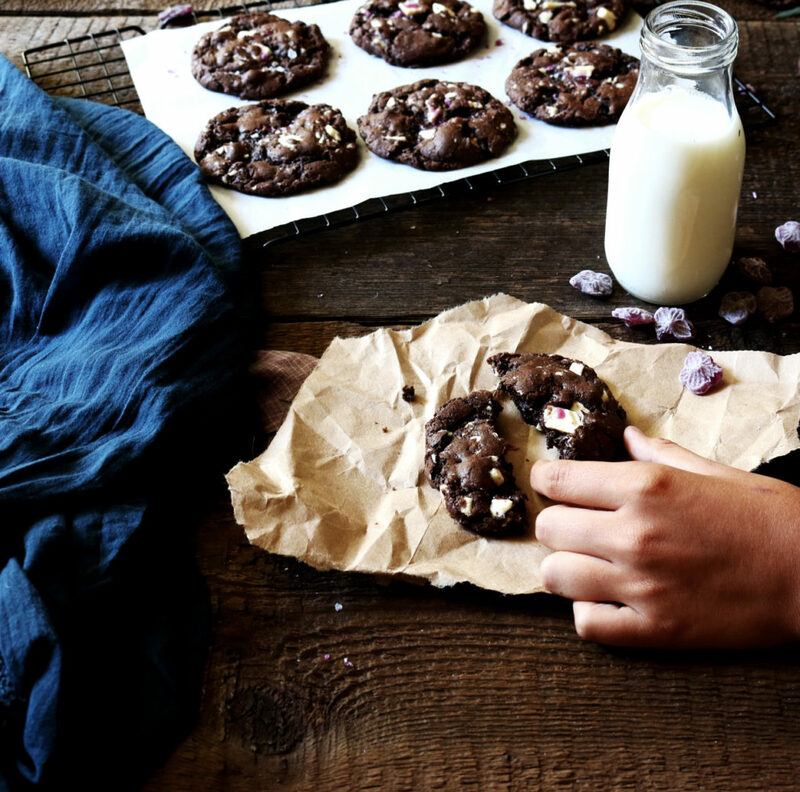 What a great way to use violet, these cookies sound amazing. These cookies are all kinds of amazing Rebecca. I so, so need a cookie today! I’m all about that brownie-esque texture and I recall reading about French violet candies in some book or another and thinking they sounded like the most sophisticated candy ever. What stunners!